In an effort to provide additional opportunities for players and increase their baseball footprint in New England, the Seacoast United Baseball Club introduced its operations to New Hampshire's Capital City for the 2017-18 season. 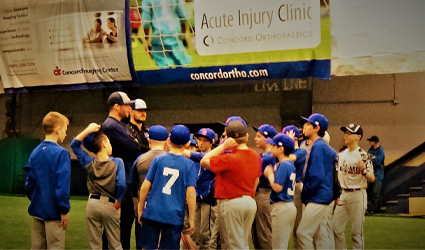 Since the arrival of baseball at the Seacoast United Concord Indoor Arena, the Club has seen tremendous growth and development, in both programing and the players they train. The expansion to Concord has also provided SUBC with their newest Concord-based Club, the Seacoast United Cubs. In their inaugural year, the Cubs will field teams from 10U-12U and compete in the New England Elite Baseball League. The addition of the Cubs, with the Seacoast NH based Pirates, has added to what is already the largest operating youth baseball organization in the EBL and New England. Learn more about programs offered by Seacoast United Baseball in the Concord area by clicking here.